After my first session spraying primer I realised that the spray had gone everywhere in the workshop leaving a fine coat of grey dust on everything. Solution: shower curtain spray bay suspended by steel wire rope. 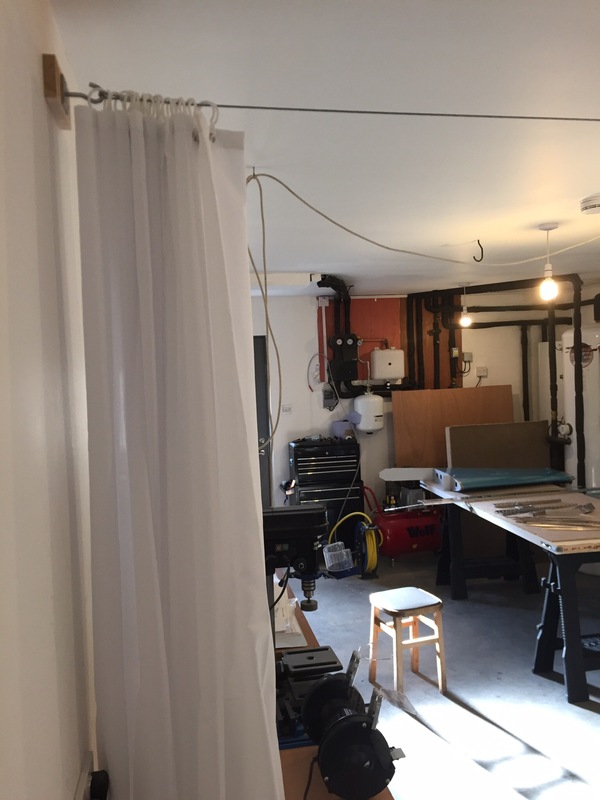 Two side curtains to come and one end of the workshop will be pretty much enclosed for priming sessions. Be the first to comment on "Spray bay"